Tanpura is a drone instrument. It resembles a sitar except it has no frets. It has four strings tuned to the tonic. The word "tanpura" (tanpoora) is common in the north, but in south India it is called "tambura", "thamboora", "thambura", or "tamboora". The tanpura is known for its very rich sound. There are three main styles; the Miraj style, the Tanjore style and the small instrumental version sometimes called tamburi. The Miraj style is the typical north Indian tanpura (tambura). This is the favourite of Hindustani musicians. It typically is between 3 to 5 feet in length. It is characterized by a pear shapped, well rounded tabali (resonator face) and non-tapering neck. It usually has a resonator made of a gourd, but rarely one may find resonators made of wood. This style is shown at the top of this page. The Tanjore style of tambura is found in the south. This is the favourite for Carnatic musicians. It is also about 3 to 5 feet in length. Unlike the Miraj style, the neck tapers toward the top, and the front plate is very flat. Resonators are almost always of wood. An example of the Tanjore style is shown above. 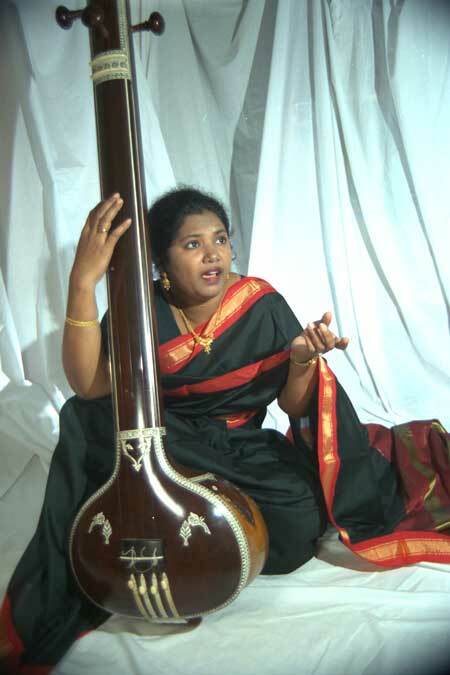 In recent decades the tamburi or instrumental tambura (tanpura) has become popular. Its most striking characteristic is its size. It averages only about 2 to 3 feet in length. It has a very shallow resonator made of wood and only a slightly curved resonator plate (tabali). It usually has four strings but may just as well have 5, 6, or even more strings. The tamburi's small size means that the playing technique is usually slightly different from the standard tambura. Although the tamburi is generally acknowledged to have an inferior sound, it is the easiest of all the tamburas to maintain. It is extremely portable, it holds its tuning well, and because it is all wood (i.e., no gourds) it is virtually indestructible. These points makes the tamburi very popular with the travelling musician. Much more information about the tanpura including its playing technique may be found in "Elementary North Indian Vocal" by David Courtney and Chandrakantha Courtney. © 2010 HinduOnline.co. All Rights Reserved.